Optifresh provides long lasting, soothing relief and protection against burning, irritation and discomfort due to dry eye. 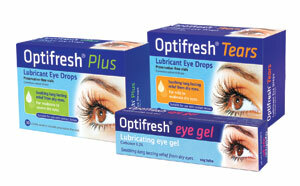 Optifresh helps lubricate, hydrate & protect dry eyes. All Optifresh products are PBS listed. Store below 25oC.